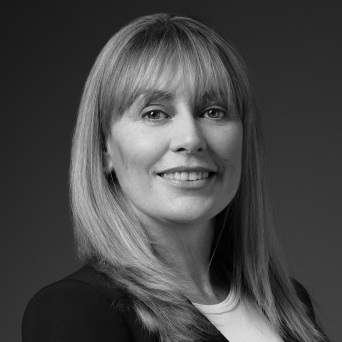 Dianne Drummond is a Senior Director and the head of eDiscovery – Europe. Dianne is an eDiscovery expert with 21 years of experience in the legal sector, including working for both law firms and consulting firms. Prior to joining FRA, Dianne gained extensive experience in the handling of evidence for complex civil and criminal litigation from discovery to trial. She managed litigation and trial support teams at Howrey Simon, Skadden Arps and Paul Hastings, and provided lead trial support in matters involving antitrust and intellectual property cases, class action lawsuits, unfair business practices and consumer fraud, employment and labor. A few of the significant trials she supported include Litton v. Honeywell; International Paper v. Wasau; Worldcom securities class action; Mirror Worlds v. Apple; and Laser Dynamics v. Quanta Computers. Dianne has been responsible as the head of Client Services departments for leading global eDiscovery service providers with significant teams and matters in the United Kingdom, Europe, United States, Japan and Hong Kong. Dianne has advised on all aspects of the EDRM, from data mapping and collection strategies through to submitting evidence and witness statements to regulators and judiciaries. She was responsible for the teams engaged to support some of the largest and most complex, multi-jurisdictional matters including Second Requests, LIBOR, FX, FCPA, Class Actions, and Automotive Emissions investigations. Dianne understands the intricacies and uniqueness of each market, particularly with regard to data privacy. She brings a specific expertise in multi-jurisdictional and cross-border matters, and develops collaborative solutions that simplify complex, multifaceted situations for a diverse client base. Dianne has UK and US citizenship and is based in FRA’s London and DC offices.